If you get a Roku, you’ll have all the hardware you need to transition away from traditional cable TV. In addition to paid services that not only reproduce the cable TV experience but also make it better, there are a number of free Roku channels that are worth checking out. Read this guide to learn everything you need to know about how to cut the cord with Roku. Today, the vast majority of cable TV channels can be streamed over the internet. They’ve all made deals with cable replacers like Philo, Sling TV, fuboTV and many others. Here’s a quick look at the best paid live TV apps for Roku. Philo was designed to cater to the entertainment preferences of people who don’t care for sports, but love watching TV. With its inexpensive $16/month base subscription, Philo is the cheapest option in this category. The only tradeoff: there are no sports channels. You may expect Philo to have minimal features, given that it’s such a cheap service. However, this is not the case. Philo’s unlimited cloud DVR lets you record as many hours of TV programming as you want. In addition, Philo is in the process of developing a new social network. Once rolled out, you’ll be able to use it to watch TV with your family and friends. Click the banner below to check out the free seven-day trial and see what Philo is all about. fuboTV– a new sports-oriented streaming service– decided to go in the opposite direction as Philo. Half of the 90+ channels you get with the $45 base subscription are sports channels. Many of those channels– like beIN Sports and FOX Soccer– are not usually carried by traditional cable TV providers. If you like watching sports that are more popular in other countries, odds are high that fuboTV has what you’re looking for. The main downside to consider before signing up is that fuboTV doesn’t currently carry ESPN. In addition to its focus on sports, another notable thing about fuboTV is its focus on 4K. No other live TV service carries 4K broadcasts, but fuboTV does. Right now only a few channels broadcast in 4K, but fuboTV plans to roll out more 4K broadcasts this year. If you have a 4K-capable Roku device, that’s something to consider if you’re in the market for a cable replacement service. The first thing you should know about Sling TV is that it’s more customizable than any other streaming service you’ll run into. There are over 20 different channel add-on packs. Available add-ons include Sports Extra ($10/month), Kids’ Extra ($5), Comedy Extra ($5) and News Extra ($5). Before you can get any of the add-on packs, you’ll need at least one base subscription plan. There are two base plans available: Sling Orange and Sling Blue. They both come with around 30 channels and cost $25. When it comes to features, Sling TV has a lot of restrictions to consider. You have to pay $5 extra each month to unlock the cloud DVR. Even if you opt in, you won’t be able to record any Sling Orange channels. Another annoying restriction is that you can only stream Sling Orange to one device at a time. Nevermind the PlayStation Vue name. This streaming service has nothing to do with games– it’s all about TV. In fact, PlayStation Vue’s excellent TV device support, huge menu of channels and best-in-class features makes it one of the all-around best options out there for cutting the cord. After you sign up for PlayStation Vue, you can select from four different plans. The more you’re willing to pay, the more channels you’ll get. Prices start at $45 and go all the way up to $80. The most expensive plan reproduces the cable TV experience with 85+ channels, including HBO and Showtime. Another thing to note about PlayStation Vue is its generous account sharing policy. You can stream to up to five devices at the same time, through one account. Most other streaming services limit you to around three simultaneous streams. Another interesting live TV app for Roku is Hulu with Live TV. As its name suggests, Hulu with Live TV is similar to Hulu. The main difference is that in addition to on-demand movies and TV shows, you also get live TV access. You’ll also pay more, of course. Hulu with Live TV’s base subscription costs $45 and comes with 60 live channels. All Hulu with Live TV subscribers get complimentary access to Hulu’s large catalog of on-demand videos. In addition to a live TV streaming service, you should also get at least one on-demand service to go with it if you plan to cut the cord. There are a huge number of on-demand apps to choose from, ranging from niche apps for arthouse film fans to apps that let you watch the latest blockbuster movies and more. Here are some of our favorites. CBS All Access is a very underrated on-demand app. It has not only over 10,000 episodes of new and classic CBS shows, but also a growing library of originals to enjoy. Star Trek: Discovery and Twilight Zone are some of CBS’s latest original titles. Another nice thing about this app is that it lets you stream your local CBS station. This can help you fill in the gap if you don’t use a TV antenna or if your live TV app doesn’t support CBS. The cheapest subscription only costs $6/month, but to get rid of the ads you have to pay $10/month. Click the banner below to get a free trial. The fact that 90 million Americans are Amazon Prime subscribers speaks to how popular Amazon has become. If you’re an Amazon Prime subscriber, you can get free access to Amazon Video on Roku. All you have to do is download the Prime Video app for Roku and sign in using your Amazon credentials. If you don’t have Amazon Prime, you can subscribe to Prime Video for $9/month. Netflix was the company that brought on-demand video to the masses. Its popular originals include critically acclaimed hits like Orange is the New Black, Stranger Things, Bojack Horseman and more. If you own a 4K-compatible Roku device, you may want to upgrade to the $12/month Premium subscription, which lets you stream in 4K. The base subscription costs $8/month. HBO Now costs $15/month, which makes it a bit pricey compared to other on-demand services. But if you’re a fan of titles like Game of Thrones, Last Week Tonight with John Oliver, Silicon Valley, Westworld, Curb Your Enthusiasm, Girls, The Sopranos and The Wire, it may be worth it to subscribe. In addition to on-demand movies and TV shows, you’ll also be able to live stream some episodes. HBO Now live streamed the Games of Thrones premiere this year, for example. If you like arthouse films, you may want to check out MUBI. One of the best things about it is that it always has new content. A title only stays in the library for 30 days, then it’s replaced by a new one. It costs $11/month after the free trial. Fandor is another on-demand service that specializes in classic films and art films. Its $6/month subscription price makes it cheaper than MUBI. However, its interface isn’t quite as nice and its library doesn’t get refreshed as often. If you have any interest in horror movies, you’ll definitely want to sign up for a free trial of Shudder– the largest library of horror movies ever assembled. This niche on-demand service only costs $4/month. Boxing fans will want to check out Showtime for Roku. It’s one of the few premium cable channels that carry live and on-demand boxing matches. Showtime originals include popular shows like Dexter, Twin Peaks, Billions and more. After the seven-day free trial, the subscription costs $11/month. Starz is like HBO and Showtime, only cheaper. The subscription only costs $8/month after the free trial. In addition to blockbuster movies and popular TV shows, you also get access to Starz originals. The Roku apps listed below prove that free doesn’t have to mean low quality. A growing number of ad-supported TV apps are entering the fray. There are even a few innovative streaming apps that let you check out and watch titles via the internet. Roku’s new Roku Channel is the obvious place to start when it comes to free TV apps for Roku. The Roku Channel came out in 2017 and replaced the Roku Recommends and 4K Spotlight apps. 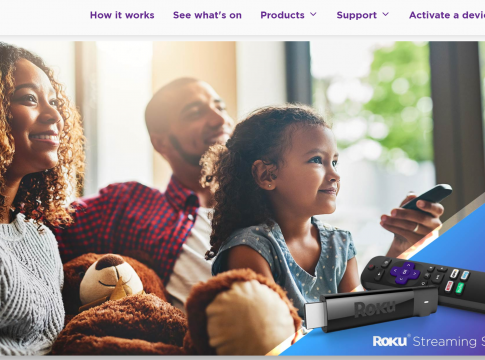 Studios like Lionsgate, MGM, Paramount, Sony Pictures Entertainment and Warner Brothers and others partnered with Roku to bring Roku users free, ad-supported movies and TV shows. Do you have a vast library of TV shows and movies saved to your computer’s hard drive? If your answer was yes, you should definitely check out Plex– a free, open-source app that lets you stream content from your computer through Roku and many other TV devices. Various subscriptions enhance Plex’s features, but the core features are free to use. Pluto TV is a completely free, ad-supported live TV service. Rather than make deals with traditional cable TV channels, the makers of Pluto TV have opted to create their own. As long as you don’t mind sitting through the occasional ads, Pluto TV is a great way to not only watch TV shows, movies, viral videos, cartoons and more but also listen to music. Tubi TV is an ad-supported on-demand movie app that’s similar to Netflix and other similar paid services– only it’s free. The quality of the content isn’t as high as what you get with a subscription service, but it could be an option if you’re looking for a classic show from the 80s or 90s to watch. A library card is all you need to get started with this innovative service. Hoopla lets you virtually check out media from your local library and stream it to your Roku device. There are several other kinds of TV devices that Hoopla works with, as well. Kanopy is very similar to Hoopla. The main difference: Kanopy specializes in educational content. If you’re a student, teacher or just prefer smart content over mindless entertainment, check it out. Crackle– a free streaming service from Sony– is well known for being the home of Jerry Seinfeld’s Comedians in Cars Getting Coffee. Like Pluto TV, you have to be willing to tolerate the occasional ad if you use this app. Vudu is a paid on-demand video service that also offers some free titles. The Vudu website says that it often gets new movies and TV shows first, before they enter other services’ catalogs. If you like to watch shows produced by The CW, this app will help you stay up to date. Its major downside is that it doesn’t offer complete seasons– only the most recently aired episodes. After you get a few good TV apps, you can expand your Roku’s functionality with an HDHomeRun and a Mohu antenna. Unless you’re already familiar with the perks of watching TV via an over-the-air antenna, it may sound like an old-fashioned way to get entertainment at first. Actually, over the last several years new broadcast channels have been appearing all over the country– and the picture quality you get when you tune in is excellent. HDHomeRun is a workaround for this. It captures the over-the-air TV feeds and sends them directly to your Roku box. Mohu has made a name for itself in the cord-cutting community with its sleek, inexpensive, high definition TV antennas. Their two main models are the Mohu Leaf and the Mohu Curve. The Mohu Leaf is designed to be mounted on a wall or window. The Mohu Curve can be installed on a shelf or any other type of flat surface.